The suburbs have clearly taken the lead on the energy front, enabling their residents to aggregate their electricity for a significantly lower rate over ComEd’s supply prices. They will be able to take advantage of lower rates through these blistering summer months, when electricity usage is at its highest. Meanwhile, Chicago will be left in the dust. The hot, expensive dust. You think? Unfortunately, if approved by voters, it’s likely the savings will not take effect until early 2013 and by then, ComEd’s long-term energy contracts will have expired and their rates will be much more competitive with those being offered by alternative energy suppliers. Time is of the essence, Chicago. In any case, it’s all well and good that people can switch electricity suppliers and save money. But what about the people who will be spending more for electricity? Isn’t that pretty significant?? 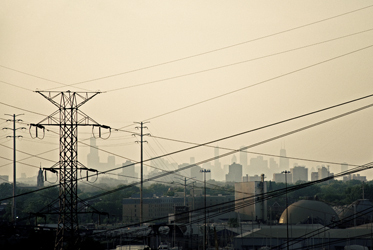 If Chicago does aggregate, its departure will account for about 1/3 of ComEd’s customer base. ComEd will need to recoup those losses somewhere, and guess who gets to pay for it?? Yep, their remaining customers. Are you going to be one of them? Are you going to stand by the sidelines, waiting for the city to make up your mind for you… or are you going join the smart energy movement and switch NOW, when the real savings are here for the taking? Why am I getting all these flyers from electricity suppliers?